The thoroughbred is a horse breed originating in England. It’s a tall, slim and athletic horse, used for horse racing and many other equestrian sports. The thoroughbreds are considered “hot-blooded” horses, with ample speed, spirit, and agility. The original thoroughbreds were developed in the 17th and 18th century England by mating British mares with imported Arabian, Barb, and Turkoman stallions. All of today’s recognized thoroughbreds with an established pedigree are the descendants of three specific stallions, while the number of foundation mares is considerably higher. Many horse breeds have been created by mating thoroughbreds with other horses. 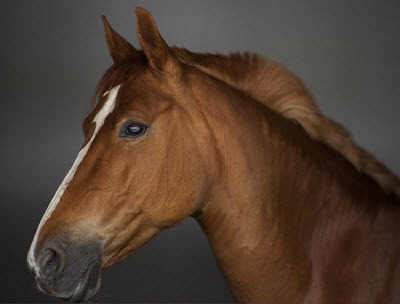 The thoroughbreds have for instance contributed a significant amount of genetic material to recognized breeds such as the Anglo-Arabian, Standardbred and Quarter Horses. Thoroughbreds are very popular among investors and speculators who hope to be able to make a lot of money from prize money and stud fees. Males are often preferred as they have much larger income potential than females. A successful male can sire a lot more offspring. The trade is most suitable for people who already made their fortune through entrepreneurship, Forex trading, stock trading or any other pursuits. It is tough to become rich investing in horses. They are in many ways a type of lottery tickets for the rich. Some horses will make a lot of money but most will not. The typical thoroughbred is 62-68 inches at the withers (15.2 – 17.0 hands, 157-173 cm). A good-quality thoroughbred will feature high withers, long legs and a deep chest. The back is short, the neck long, and the head well-chiseled. Good depth of hindquarters is essential. The body should have a lean appearance. Coat patterns with more than one color on the body (e.g. Appaloosa or Pinto) are not recognized by any of the main registries for thoroughbreds. The oldest known use of the term “thro-bred” in the English language is from 1713, but the General Stud Book (GSB) was not established until 1791. Other Oriental stallions have also made a notable contribution of genetic material to the breed, such as Alcock’s Arabian, D’Arcy’s White Turk, Leedes Arabian, Curwen’s Bay Barb, and the Brownlow Turk. All in all, there are about 160 stallions of Oriental breeding that we know of from historical records as breed contributors. According to equestrian historian Peter Willett, roughly half of the foundation stallions belonged to Arabian bloodlines, while the other half was pretty evenly divided between Barb and Turkoman. The mares used as foundation breeding stock for the thoroughbred came from a variety of breeds; both British and important ones. Irish Hobby, Barb, and Turk are just a few examples. Recent mtDNA studies have indicated that some of the mare lines that have been regarded as genetically distinct from each other might actually have a common ancestor.